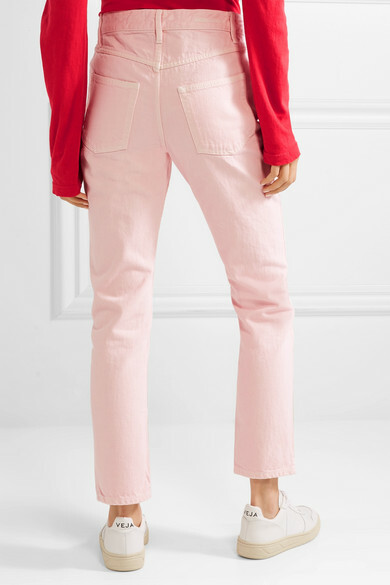 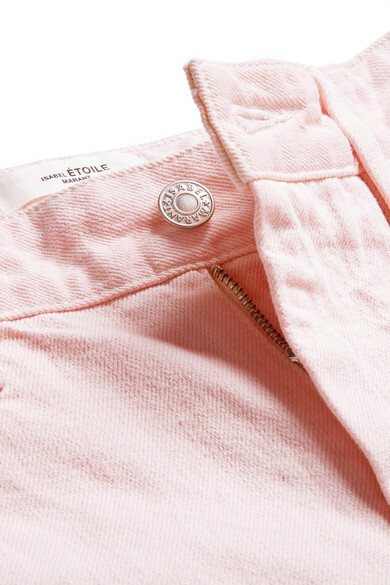 Isabel Marant Étoile's pastel-pink 'Fliff' jeans may push you slightly outside of your denim comfort zone, but that's just the type of risk that'll pay off in the end. 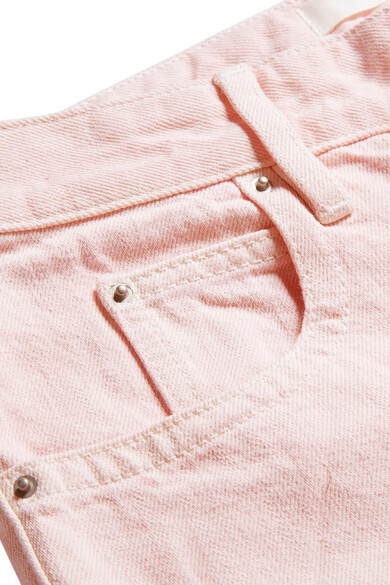 Made from cotton, this pair is cut in a slim boyfriend fit and has a classic five-pocket construction. 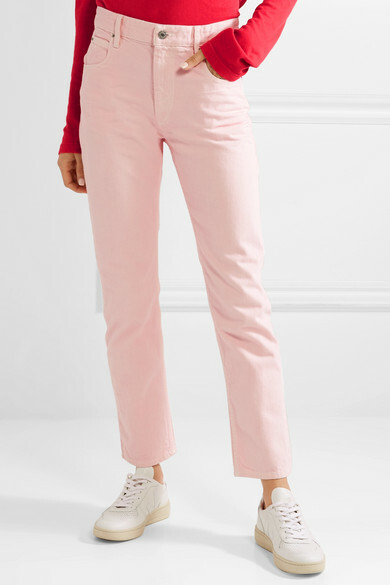 Shown here with: Elizabeth and James Top, J.Crew Shirt, SIMON MILLER Clutch, Veja Sneakers, Kenneth Jay Lane Earrings.